As I mentioned in a previous post about the character of Yzma I had something to to with her early development, when the movie was called "Kingdom in the Sun". The one and only Eartha Kitt had been chosen as her voice, but at that time I didn't have any recordings yet. So I picked a line from one of Eartha's last movies, Boomerang, in which she played opposite Eddie Murphy. 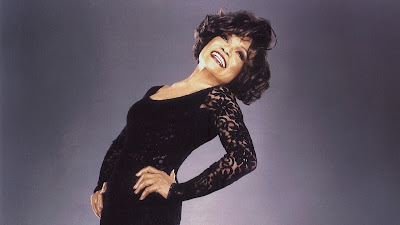 I tried to find a piece of dialogue that would epitomize Eartha Kitt's sultry image and …just have fun with it. Actually I thought I had lost this footage, but recently a tape with the scene resurfaced. The character design was still in progress, but I needed too move Yzma around, just to see what I had at that point. So here is the lost experimental scene, Yzma is responding to the Inka figure Pacha, who just let her know that she is "over the hill".